Bio: Originally from Paris, France, Benjamin began his martial arts training at the young age of 5yrs old in the Shotokan method of Karate under his father, Thadee Halcewicz (7th degree black belt in Karate and Expert 1 in Krav Maga). Eventually, in his early teen years Benjamin’s training expanded to include Judo, Boxing, and Thai Boxing. Benjamin brought his martial arts talents to San Diego at the age of 22, and is also when he discovered Krav Maga, in which he has been training for more than 10yrs. 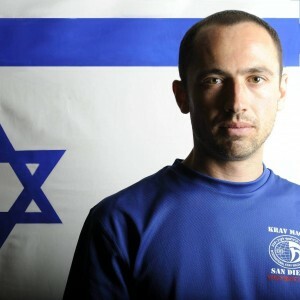 His dedication to Krav Maga has earned him the privilege of running his own Krav Maga programs all over the San Diego area; he has used his skills and talents in a group class setting, private/small group sessions, and focused childrens or womens sessions. Benjamin has had the honor of training with Gabi Noah, a direct student of the founder of Krav Maga (Imi lichtenfeld) and also elite Karate Sensei’s who were direct students of the founder of Karate (Mr. Nishiyama of the Shotokan method and Mr. Miki of the Shito Ryu method). Some of Benjamin’s other passions include Brazilian Jiu Jitsu and Surfing, his educational accomplishments include a degree in Sports Education (from France) and 1st aid certification. Contact Instructor Benjamin Halcewicz: at ikmsandiego@gmail.om or call (858) 349-8795.